A kick-off pitching of 8 best startups selected within Startup Hub: Poland Prize accelerator from over Protected content leaders from 63 countries – finalists of the first batch headquartered in Protected content . Poland appears to be the country of first choice for global talents and high-tech entrepreneurs. To make it happen, the Polish Agency for Enterprise Development (PARP) invited Startup Hub Poland to #PolandPrize, an acceleration format for soft-landing and cash-stimulating top-class startups in Poland. The finalists are hosted byProtected content , the place to link best ICT and energy projects with corporate partners and VC investors. After months of scouting, recruiting and evaluating, now is the time to give them a stage! 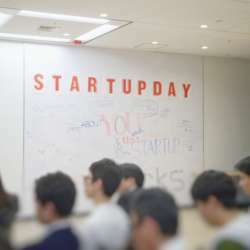 During this event startups will present not only their prototypes and products, but also their vision of disruption on the global markets. We want to introduce them exclusively to Polish leading investors (VCs, BAs, Seeders) as well as corporate partners, policy makers, media and community leaders. We will have an unique opportunity to see Polish ecosystem through their eyes.